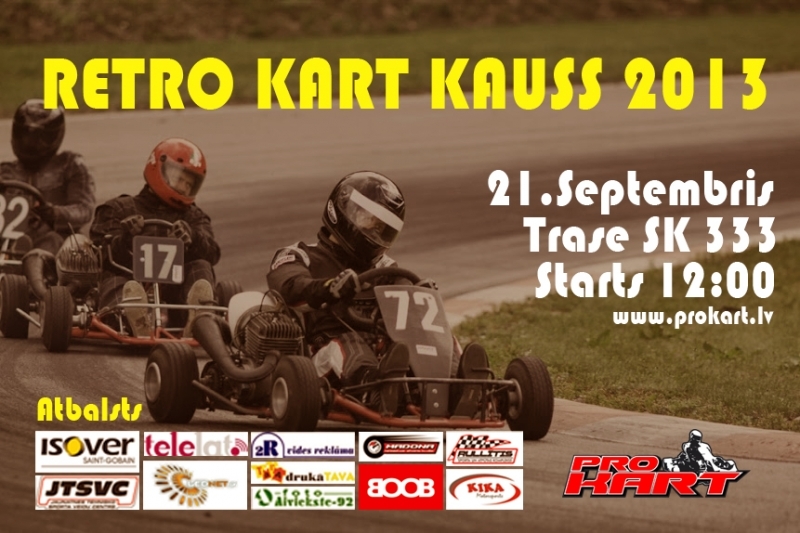 Get ready for Retro kart grand prix 2013! On Saturday 21th Of September at 333 track a great racing day will take place. There will be something special in this event – after usual competition there will be a tough fight for the best driving skill title between veterans, mechanics AND here it is - between this seasons champions! More than 100 pilots already have signed up for the race from Latvia, Russia, Estonia, Lithuania and Ukraine. We expect a great day before winter season so please get familiar with all binding rules at www.prokart.lv and see you on track. Great hammer of Thor, that is <a href="http://zenkhnedrl.com">pollufrwey</a> helpful! PLEASE help!I've paid for the Extended Version, cleared out ALL renfreece to the Free Version, but can't get the Extended Version to appear I just keep getting the Free Version.Further, the original quiz I made with the Free Version has stayed in the Plug-In and when I try and change it, it says, You need to upgrade to the Extended Version .PLEASE help this is very frustrating and I NEED to get on with what I need to do.PLEASE, PLEASE, PLEASE help!!!! !